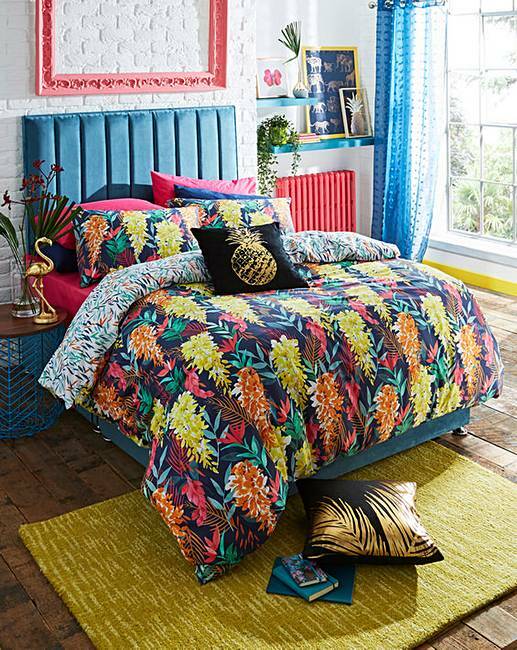 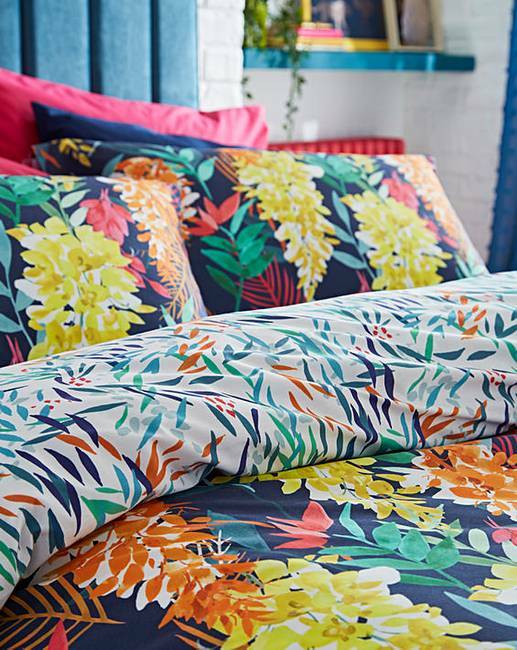 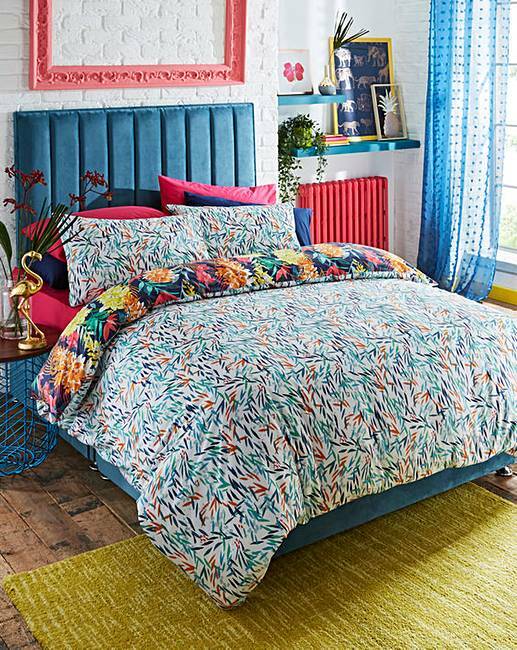 A vibrant duvet cover set sure to transform any room. 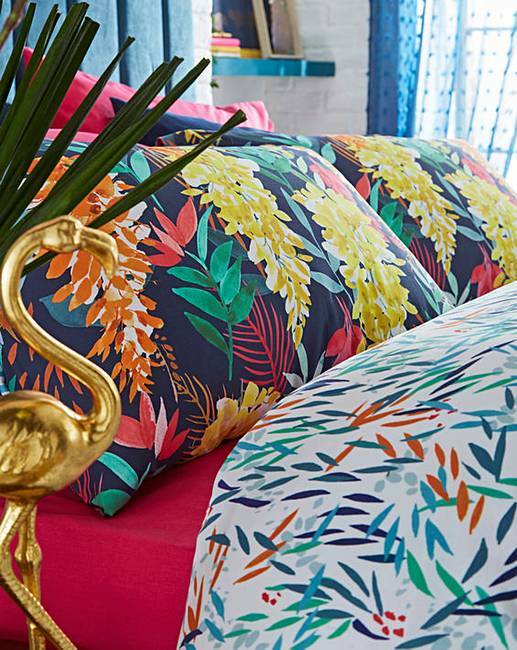 Bold shades on a deep background create the perfect contrast, and the 180 thread count cotton make this a super smooth to the touch piece. 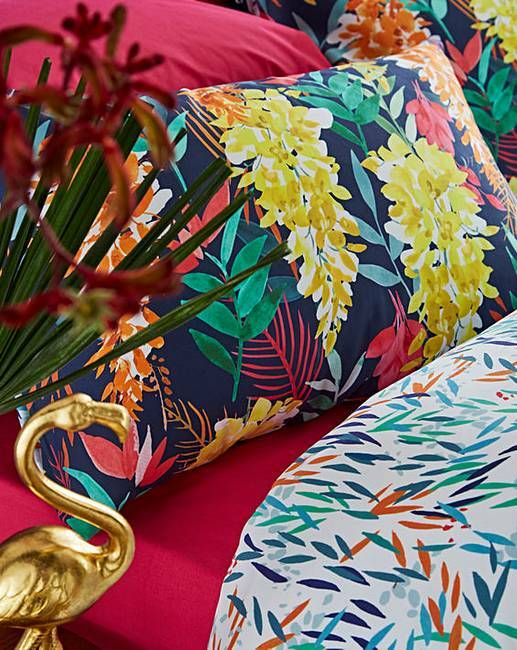 Fully reversible so the look and feel can be updated quickly and easily.